The Test was held on a clear, cool night in front of the large crowd that Wynnum habitually musters for Schoolboy Test matches. From the kick off it was clear that the Junior Kiwis would approach this game with retribution in mind - having lost the First Test, they seemed determined that this would not happen again. They performed the haka with great animation and aggression, and began play in the same fashion. Despite this, the Australians took an early lead when Jarrod Mullen took an easy two points from a penalty in front of the posts and 20 metres out. 2-0 to Australia. The power play of the JKs in both attack and defence gained them the good field position that the Australian had enjoyed in the first game, and their pressure earned them a penalty 20 metres out, in the 8th minute. From a quick tap, prop Sam Rapira charged through thin defence to his left of the posts to score 12 metres in from touch. Matthew Parata could not convert, but the Junior Kiwis led 4-2. In the 12th minute the Australians pressed the JK line, and Mitch Brown soared for Jarrod Mullen's kick, but could only knock on. From the restart, the power running of the New Zealand forwards, and quick play-the-balls, gained them 70 metres. From a ruck on the right hand side, Greg Eastwood received the ball, dummied to beat a rushing defender, and kicked square across field to the left hand touchline. Winger Iwi Hauraki was able to catch the ball, draw the defence, and pass inside to centre Joshua Davis to race over 10 metres in from touch. Without a conversion, the JKs led 8-2. Five minutes later, Australian halfback Mitchell Pearce got on the outside of Eastwood to make a great break from the halfway line. He ran 30 metres, passed inside to Joel Moon, who passed inside again to Cory Paterson, who seemed to crash over beside the posts. After consultation with his touch judge, however, referee Michael Inman disallowed the try. Again, from the restart, the Junior Kiwis made excellent ground, and followed this with an excellent kick and chase to force a repeat set out of the Australians. From the dropout, the New Zealanders attacked the left corner of the field, only to be held up short of the line. They then spun the ball through numerous sets of hands for winger Marvin Filipo to score in the right hand corner in the 19th minute. The try remained unconverted, but the lead stretched to 12-2. In the 22nd Minute, after a strong set of six, Greg Eastwood put in a perfectly placed kick to again force a repeat set of tackles. Again , the Jks were able to make good ground, then spun three passes to the left for Benjamin Te'O to score 5 metres in from touch. Mataika Vatuvei's conversion took the lead to 18-2. 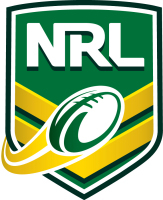 On the attack again in the 28th minute, 20 metres from the Australian posts, Mataika Vatuvei raced from dummy half and chipped a kick over the top of Australian fullback Darius Boyd for Scott Jones to lead the race for the ball and score. Jones converted his own try for New Zealand to take a 24-2 lead going in to half time. At the start of the second half, in the 38th minute, Mitchell Pearce's fine pass sent the Australians on a break down their left hand side. However, the ball was stripped, and the JKs replied immediately with a break of their own. Daniel O'Regan's pass sent Frank-Paul Nuuausala on a break downfield. The attack continued down the right, and lots of passes in a small area kept the ball alive for Sonny Fa'I to eventually score. Scott Jones conversion took the score to 30-2. In the 41st minute, Mataika Vatuvei made another fine break of 20 metres to set the JKs on the attack again on the right hand side. They attacked a bit to the left, drew defence, kept the ball alive, attacked towards the centre, drew defence, kept the ball alive, then threw two long passes to the left for Iwi Hauraki to beat the cover defence and score. Scott Jones converted again for a 36-2 scoreline. A lifting tackle by an Australian in the 47th minute led to a disagreement between the two sides, from which a player from each side was dismissed from the filed, and one from each side sin binned. The penalty went to New Zealand, followed by another one when the Australians were offside from the ensuing tap. It became anti climactic, though, when the JKs knocked on. In the 54th minute, the Australians were on the attack near their opponents line, and an inside pass from Jarrod Mullen put Cory Paterson in a position to score, but he could not hold the ball. Two minutes later, prop David Taylor made a surge which burst the first line of defence. He beat the next defender with a dummy, and came to the fullback with support inside. He dummied again, but Parata was not to be deceived, and made a solid tackle to halt the raid. Three minutes later, from a scrum on the Australian 20 metre line, Pearce passed to Mullen, who got Darius Boyd on the outside of his defender. Boyd drew the next defender and gave an outside flick pass to centre Michael Jennings, who outpaced the winger, and the cover defence, to race 75 metres to score. Jarrod Mullen's conversion reduced the lead, and the score was 36-8. From the restart, Frank-Paul Nuuausala crunched Daivid Taylor in tackle to force a turnover 15 metres out. From the third tackle in the set from the scrum, Greg Eastwood's power enabled him to crash over from dummy half. Mataika Vatuvei's conversion took the lead to 42- 8 to the Junior Kiwis. From this kick off, the JKs received the ball on their right side of the field. They headed toward the centre, and were tackled 30 metres out. They came down the left hand side, and Iwi Hauraki's break put Joshua Davis outside his man on the half way line. He outpaced the first line of cover, palmed off the second line, and palmed off the last line of defence to culminate his barnstorming run with a try in the corner. The try was not converted, but it took the score to 46 -8 to New Zealand. In the 76th minute, the Junior Kiwis threatened again, with a long break from Greg Eastwood down the middle of the field. The Australian defence was able to re-organise to hold their line. In the shadows of full time, Australian Kris Keating's right foot step put him in the clear from 10 metres his own side of half way. The cover defence kept hanging off, he kept going, they kept hanging off. Keating's support had arrived, but if anything he had too much time, and his pass finished up over the touch line. The Junior Kiwis had come on a mission to this Test, for they felt they hadn't shown their best in the First Test in Melbourne. Coach Tony Benson was justifiably proud of his charges. To be able to do what they did, and come back from such a deficit in the first game, was testament to their dedication and determination. It was a great psychological mountain to climb, and they were able to do it. All credit to them, and sincere thanks to my great support staff." he said. Australian Schoolboys Coach Simon Huntley was similarly impressed by the Junior Kiwi performance. "We came with the expectation that they would improve, but all credit to them, they were much the better team tonight. Junior Kiwi Manager Richard Bolton was especially grateful for the Wynnum hospitality. "We've been a different team all this week. The hospitality, the food, the weather that the Wynnum people have put on have all been incredible, and we thank them for it. The drawn series continues a succession of such results between these two teams. The last time they met, Benji Marshall, Karmichael Hunt and Heath L'Estrange led the Australian Schoolboys to victory in Auckland, but Thomas Leualai and Louis Anderson led the Junior Kiwis to a win in Wellington. 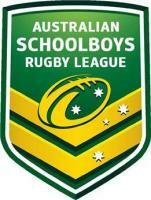 Avid followers of Rugby League will be looking forward to the next series, probably in two year's time in New Zealand.